NBA teams are looking for potential and physical tools in their high picks, rather than polished college performance. RALEIGH, N.C. — Duke’s Marvin Bagley III, Arizona’s Deandre Ayton and Oklahoma’s Trae Young are certain high NBA draft picks. One of them could easily be the top overall selection. Still, that doesn’t make any of them the best player in college basketball. Villanova’s Jalen Brunson is a leading candidate to be anointed the national college player of the year. While several freshmen will likely hear their names called among the top five draft picks, Brunson has been the man in college. And Brunson has NBA talent at the helm of a team playing in this weekend’s Final Four in San Antonio, but recently there seems to be a disconnect between college production and NBA potential. For years, those two things seemed intertwined. Ten of the 19 players named The Associated Press college player of the year between 1980-2000 – Virginia’s Ralph Sampson won three times – became the No. 1 overall NBA draft pick, including Sampson, Georgetown’s Patrick Ewing, Navy’s David Robinson, LSU’s Shaquille O’Neal and Wake Forest’s Tim Duncan. But in the years since, only three players – Utah’s Andrew Bogut in 2005, Oklahoma’s Blake Griffin in 2009 and Kentucky’s Anthony Davis in 2012 – have been AP player of the year and the No. 1 overall pick. Last year’s AP winner, Frank Mason III of Kansas, was a second-round pick. This year’s leading contenders include possible No. 1 draft picks in Ayton and Bagley, along with a potential top-10 pick in Young, while Brunson could be a second-rounder like Mason. The shorter college careers of top players can explain some of that change. Formerly, they routinely developed over three- and four-year stays that offered a clearer picture of player potential. Now, as top prospects stick around only a year or maybe two, that evaluation has changed. “There’s less of an emphasis on college productivity,” said ESPN analyst Dino Gaudio, Wake Forest’s head coach from 2007-10. “Is it a factor? Sure it is, but it is less of a factor than what it was many years ago because of the one-and-done (rule) and how early kids can come out. Brunson is still playing in the Final Four as the top-seeded Wildcats pursue a second national championship in three seasons. Bagley helped the Blue Devils reach the Elite Eight before losing in overtime to Kansas, while Ayton and Young both suffered first-round losses. The AP named its All-America team Tuesday, with Brunson and Kansas’ Devonte’ Graham joining Bagley, Ayton and Young on the first team. The AP names its player of the year Thursday in San Antonio. Ayton is an athletic 7-foot-1 freshman with power and a soft shooting touch, averaging 20.1 points and 11.6 rebounds. Arizona State Coach Bobby Hurley said Ayton “may be the best big I’ve seen in college as a player or coach” – high praise considering Hurley played against O’Neal and Michigan’s Chris Webber, and alongside Christian Laettner at Duke. Bagley, a 6-11 forward, has the wingspan to score over defenders, rebound through traffic and step out to the arc, making him the Atlantic Coast Conference’s leading scorer (21.1) and rebounder (11.5). The 6-2 Young led the country in scoring (27.4) and assists (8.7), including games of 48 points and a Division I record-tying 22 assists. Bagley announced Wednesday that he would enter the draft , joining Ayton and Young, who previously declared. And there are several other freshmen looking like potential lottery picks, including Mo Bamba from Texas and Missouri’s Michael Porter Jr. (who was injured nearly all year) along with possible one-and-done guard Collin Sexton of Alabama. Meanwhile, there’s Brunson, the steady 6-3 junior leading a team that spent a national-best eight weeks atop the Top 25. 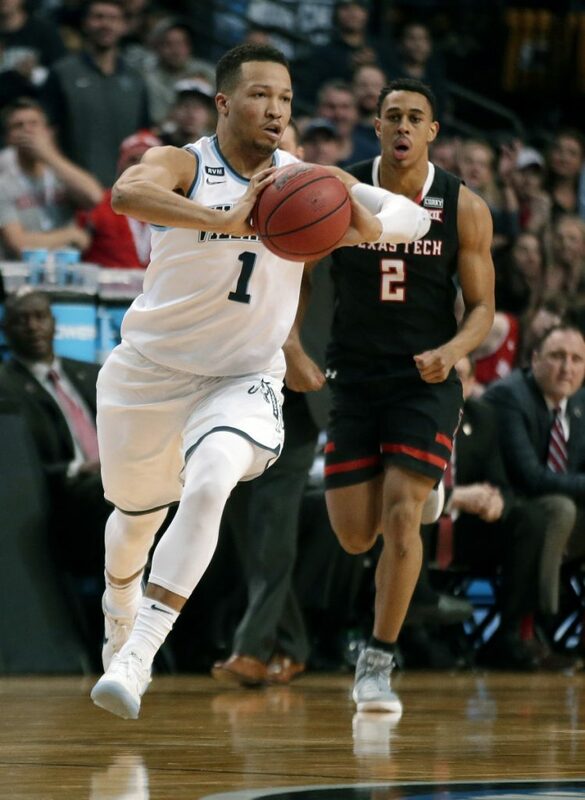 He averages 19.2 points and shoots 53 percent, though he lacks elite athleticism and isn’t regarded as the best pro prospect on his team (that would be 6-7 junior Mikal Bridges).